On November 5, 2016, Archbishop Kirill of San Francisco and Western America, secretary of the Bishops’ Synod of the Russian Orthodox Church Outside Russia, presided over All-Night Vigil and the rite of the nomination of Archimandrite Irenaeus (Steenberg) as Bishop of Sacramento, at the Cathedral of Our Lady the Joy to All the Afflicted in San Francisco. On November 5, 2016, the day of Our Lady the Joy to All the Afflicted, Archbishop Kirill celebrated the Divine Liturgy at the church of Our Lady the Joy to All the Afflicted and presided over the consecration of Archimandrite Irenaeus as Bishop of Sacramento, Vicar of the diocese of Western America. He was assisted by Archbishop Peter of Chicago and mid-America, Bishop Theodosius of Seattle, vicar of the diocese of Western America, Bishop Nicholas of Manhattan, vicar of the diocese of Eastern America, Bishop Ioann of Naro-Fominsk, administrator of the Patriarchate Parishes in the USA, as well as clergy of the diocese of Western America and pilgrims in holy orders. After the Eucharistic canon, the newly consecrated Bishop Irenaeus presided over a deacon’s ordination. The liturgical hymns were sung by the Bishops’ choir conducted by V. Krasovsky. 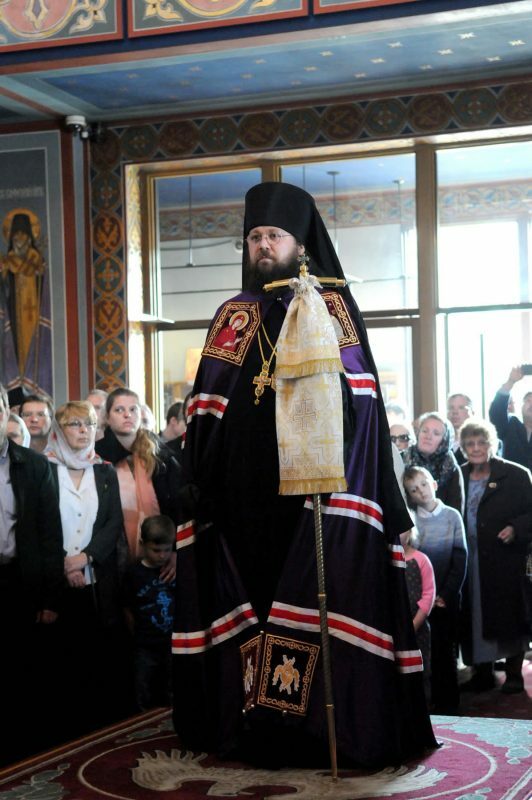 After the liturgy, Bishop Ioann of Naro-Fominsk led the congregation in a thanksgiving to the Mother of God. Archbishop Kirill addressed himself to Bishop Irenaeus with words of counsel for his archpastoral ministry and presented him with a bishop’s crozier. According to tradition, the newly consecrated gave the faithful his first archpastoral blessing, the site of the Russian Church Outside Russia reports.